British-israel.us -- "Fractional Reserve Banking Steals Our Money"
Originally humans bartered goods and traded without money. But since not everyone wanted a cow, or apples, or lumber, and since most commodities have a limited shelf life, or are not easily divisible, or portable, merchants demanded a common medium of exchange such as gold, or more commonly silver. These commodities fulfilled the requirements of money: being easily divisible, durable, portable and valuable. The biblical word for money is "silver." But a problem arose: Where do you store your gold and silver to protect it from thieves? In a bank. The bank then issued depositors a receipt or note telling them that they had a quantity of gold or silver in the bank vault. It was a paper IOU that could be redeemed for something of value (called a Silver Certificate or a Gold Certificate). Today these IOUs are called "Federal Reserve Notes" -- not "Silver Certificates" or "Gold Certificates." The "Federal" Reserve Bank is not part of the federal government. It is a private bank that UNCONSTITUTIONALLY prints America's money. The U.S. Treasury should create our money according to our Constitution. Article 1:8 says "Congress shall have power to coin money and regulate the value thereof." 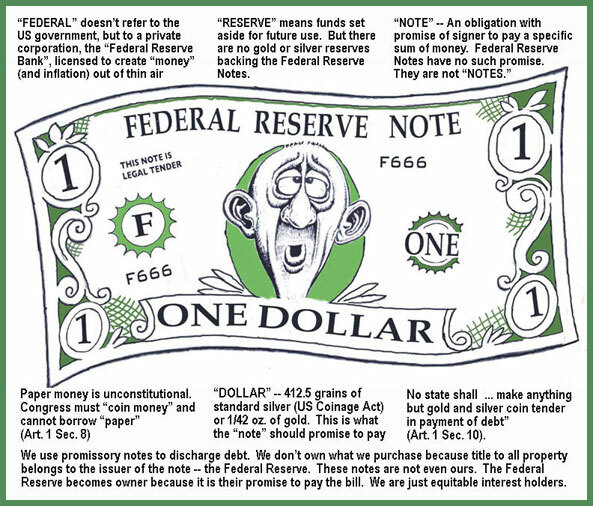 In the past, "Federal Reserve Notes" were redeemable in gold or silver, but those words were taken off the bills. This is also UNCONSTITUTIONAL. Article 1:10 says "Nothing but gold and silver" shall be used for money. Why? It can't be inflated, like paper currency. Coins should be made of silver or gold, but now are just base-metal tokens. Tokens can be inflated. "Paper money is theft" -- George Washington. "There is no legal tender ... in this country ... but gold and silver" -- Daniel Webster. "Thy silver is become dross, thy wine mixed with water" (Isa. 1:22). Leviticus 19:35-37 says, “You shall do no wrong in judgment, in measures of length or weight or quantity. You shall have just balances, just weights, a just ephah, and a just hin: I am the Lord your God, who brought you out of the land of Egypt. And you shall observe all my statutes and all my ordinances, and do them: I am the Lord." But as banks collected all the gold and silver in the community, they discovered that only a few depositors at any one time came to withdraw their bullion. Therefore, the banks could safely lend out 90% of their depositor's gold and silver and make money by doing so, provided there was no run on the bank. Thus, a bank is allowed to create out of thin air nine times the amount of money it holds in reserve. This Fractional Reserve Banking actually lends money into existence thereby making each note already in existence have less purchasing power. New money STEALS value from the existing money supply. Consumers willingly participate in this THEFT by using credit cards, or taking out student loans, or securing mortgage debt or just by consumer borrowing. Even government borrowing is paid for through taxes that consumers must pay. The Treasury creates a bond, a debt. They sell it to the Federal Reserve, which credits the Treasury with Federal Reserve Notes. The Treasury must pay back that bond debt plus interest. Since only the debt money exists, more debts must be created to pay the old debt plus interest. As the Bible says, "The borrower is SERVANT to the lender" and since money is debt and debt is SLAVERY, our money system is a system of SLAVERY. "If thou lend money to any of my people that is poor by thee, thou shalt not be to him as an usurer, neither shalt thou lay upon him usury. If thou at all take thy neighbour’s raiment to pledge, thou shalt deliver it unto him by that the sun goeth down: for that is his covering only, it is his raiment for his skin: wherein shall he sleep? and it shall come to pass, when he crieth unto me, that I will hear; for I am gracious" (Ex. 22:25-27). DAILY HOLDING OF COLLATERAL PREVENTS THE SAME ITEM FROM SECURING MORE THAN ONE LOAN AT A TIME. Our federal treasury should create all the currency and credit we need without interest. There is not enough money in existence to pay all our interest payments. It is mathematically impossible. The Federal Reserve Bank lends to other banks at interest just as they charge interest to individual borrowers. 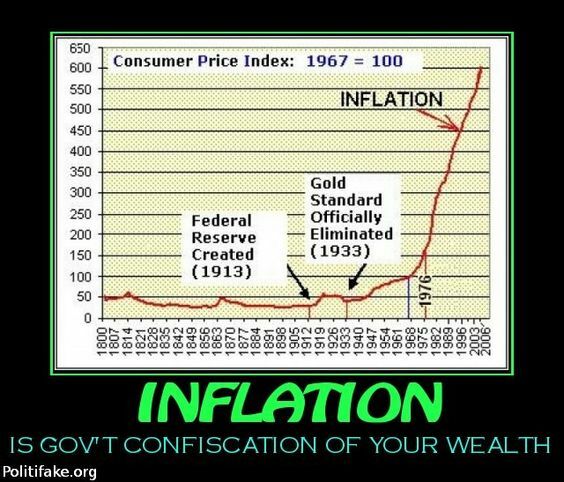 All of this money-printing causes more and more INFLATION so that the purchasing power of one dollar in 1913 now requires $21.67 to buy the same thing today (2007). 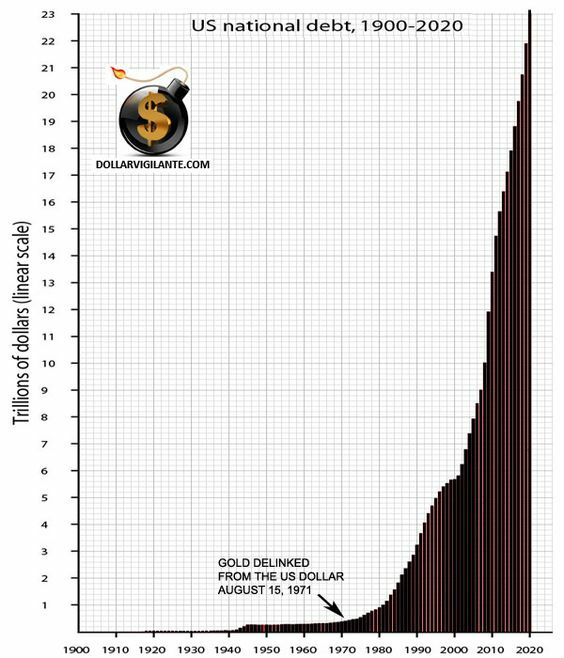 There has been a 96% devaluation in 94 years in the value of the dollar. "If thou lend money to any of MY PEOPLE that is poor by thee, thou shalt not be to him as an USURER, neither shalt thou lay upon him USURY" (Ex. 22:25). "Take thou no USURY of him, or INCREASE: but fear thy God; that thy BROTHER (torah-keeper -- Mark 3:35) may live with thee" (Lev. 25:36). "Lord, who shall abide in thy tabernacle? ... He that putteth not out his money to USURY" (Ps. 15:1-5). Ezekiel 18:13 speaks of one who "Hath given forth upon USURY, and hath taken INCREASE: shall he then live? he shall not live: he hath done all these abominations; he shall surely die; his blood shall be upon him." Deuteronomy 23:19 says, "Thou shalt not lend upon USURY to thy BROTHER (torah-keeper -- Mark 3:35); USURY of money, USURY of victuals, USURY of any thing that is lent upon USURY." Even 1% INTEREST is forbidden (Neh. 5:7-11). "The BORROWER is servant to the lender" (Pr. 22:7). "He that by USURY and UNJUST GAIN increaseth his substance, he shall gather it for him that will pity the poor" (Pr. 28:8). "Unto a STRANGER (Heb. "nokri" -- wicked enemy nation who disobeys the torah) thou mayest lend upon USURY; but unto thy BROTHER (torah-keeper -- Mark 3:35) thou shalt not lend upon USURY: that the Lord thy God may bless thee" (Deut. 23:20). "Also thou shalt NOT OPPRESS a STRANGER (Heb. "ger" -- sojourner in Israel who obeys the torah): for ye know the heart of a stranger, seeing ye were strangers in the land of Egypt" (Ex. 23:9). "Ye shall have one manner of law, as well for the STRANGER (no USURY for torah-keeper), as for one of your own country (no USURY for torah-keeper): for I am the Lord your God" (Lev. 24:22) "And if thy BROTHER be waxen poor, and fallen in decay with thee; then thou shalt relieve him: yea, though he be a STRANGER, or a sojourner; that he may live with thee. Take thou no USURY of him, or INCREASE: but fear thy God; that thy BROTHER (torah-keeper -- Mark 3:35) may live with thee. Thou shalt not give him thy money upon USURY, nor lend him thy victuals for INCREASE" (Lev. 25:35-37). But Christians quote Matthew 25:27 to justify USURY. The way it should be understood, the servant says, "I know you're a covetous crook, reaping the harvest of others. So I played it safe and hid your money." The way it should be understood, his master says, "Since that is what you believe, why didn't you put my money in the bank and obtain more DISHONEST GAIN for me through INTEREST?" Far from justifying usury, this parable actually condemns it (cp. Luke 19:11-27). Another excuse to justify USURY is inflation. Paper money loses its value with time. The purchasing power a Christian gets back will be less than the purchasing power he lent when dealing in paper, even though the amount is nominally the same. But in the first century the money consisted of silver coins. Christian should avoid using diverse weights and measures (paper money and clad coins). A Christian should look on this as a gift to a poor brother and not as a burden. God promises to bless those who are generous. God even told ancient Israel that at the end of every seventh year they were to cancel ALL debts of those who owed them any money (Deuteronomy 15:1). On the other hand, if the money was loaned to someone OUTSIDE the tribes of Israel (who disobeys the torah) there was no command for the creditor to release the debt (verse 3). Furthermore, the laws of the Torah do not even address the regulation of commercial business investment and transactions, but was simply a law of kindness to a fellow member of the same household of faith in a primitive state of society. The banking scam is therefore, 1. Private banks -- not "Federal" -- creating money out of nothing which is UNCONSTITUTIONAL 2. This causes inflation which STEALS purchasing power since there is no proportional increase of goods and services. 3. They charge interest on it, CONTRARY TO SCRIPTURE, and 4. No money is created for interest payments (so it becomes a game of musical chairs where someone is left standing without a monetary chair). In order for their debt-based money to function, they must increase debt each year in excess of the debt and interest accrued the year before or they will enter a deflationary death spiral. When debt is created, money is created. When debt is paid off, money is destroyed. The point will soon come when the U.S. either defaults on it's debt or creates so much more money and debt to keep the cycle going that it causes hyperinflation. That is the problem with compound interest. The hockey-stick moment. The more debt incurred, the less effective it is. There are only two actors needed for this hyperinflation: the lender of last resort (Federal Reserve) and the spender of last resort (the U.S. Government). Many wars have been started for no other purpose than to force private central banks onto governments. Notice a few examples now. Then just one year after Mayer Amschel Rothschild spoke these words, "Let me issue and control a nation's money and I care not who makes the laws", the bankers used Alexander Hamilton to establish a new Private Central Bank called the First Bank of the United States. Founded in 1791, by the end of its twenty year charter the First Bank of the United States had nearly ruined the nation's economy in order to make the bankers rich. Congress refused to renew the charter and members signaled their intention to go back to a state-issued value-based currency on which no interest was paid to bankers by the citizenry. This resulted in a threat from Nathan Mayer Rothschild against the US Government, "Either the application for renewal of the charter is granted, or the United States will find itself involved in a most disastrous war." Congress still refused to renew the charter for the First Bank of the United States, whereupon Nathan Mayer Rothschild railed, "Teach those impudent Americans a lesson! Bring them back to colonial status!" The British Prime Minister at the time, Spencer Perceval was adamently opposed to war with the United States, primarily because the majority of England's military might was occupied with the ongoing Napoleonic wars. Spencer Perceval was concerned that Britain might not prevail in a new American war, a concern shared by many in the British government. Then, Spencer Perceval was assassinated (the only British Prime Minister to be assassinated in office) and replaced by Robert Banks Jenkinson, the 2nd Earl of Liverpool, who fully supported a war to recapture the colonies. Financed at virtually no interest by the Rothschild controlled Bank of England, Britain then provoked the War of 1812 to recolonize the United States and force Americans back into servitude of the Bank of England, or to plunge the U.S. into so much debt they would be forced to accept a new private central bank. This plan worked. Even though the War of 1812 was won by the United States, Congress was forced to grant a new charter for yet another private bank issuing public currency as loans at interest, the Second Bank of the United States. Once again, private bankers were in control of the nation's money supply and cared not who made the laws or how many British and American soldiers had to die for it. Incidentally, after the battle of Waterloo in 1815, a Rothschild courier galloped to England and to the stock exchange proclaiming that Napoleon had won. English stocks plummeted. The Rothschilds bought them for pennies on the dollar. That is how they control England today. When the U.S. again came under their control, the nation was plunged into debt, unemployment, and poverty by the predations of the private central bank, and in 1832 Andrew Jackson successfully campaigned for his second term as President under the slogan, "Jackson And No Bank!" True to his word, Jackson succeeds in blocking the renewal of the charter for the Second Bank of the United States. "Gentlemen! I too have been a close observer of the doings of the Bank of the United States. I have had men watching you for a long time, and am convinced that you have used the funds of the bank to speculate in the breadstuffs of the country. When you won, you divided the profits amongst you, and when you lost, you charged it to the bank. You tell me that if I take the deposits from the bank and annul its charter I shall ruin ten thousand families. That may be true, gentlemen, but that is your sin! Should I let you go on, you will ruin fifty thousand families, and that would be my sin! You are a den of vipers and thieves. I have determined to rout you out, and by the Eternal, (bringing his fist down on the table) I will rout you out!" (-- Andrew Jackson, shortly before ending the charter of the Second Bank of the United States. From the original minutes of the Philadelphia committee of citizens sent to meet with President Jackson (February 1834), according to Andrew Jackson and the Bank of the United States (1928) by Stan V. Henkels). Shortly after President Jackson (the only American President to actually pay off the National Debt) ended the Second Bank of the United States, an assassin tried to shoot him. This attempt failed when both pistols used by Richard Lawrence failed to fire. Lawrence later said that with Jackson dead, "Money would be more plenty." In 1835 Andrew Jackson shut down the central bank. When he finally died, his last words were "I killed the bank." Of course, the public school system is as subservient to the bankers' wishes to keep certain history from you, as the corporate media is subservient to Monsanto's wishes to keep the dangers of GMOs from you, and the global warming politicians' wishes to conceal from you that the Earth has actually been cooling for the last 16 years. Thus it should come as no surprise that the real reason for the Civil War is not well known to the average American. When the Confederacy seceded from the United States, the bankers once again saw the opportunity for a rich harvest of debt, and offered to fund Lincoln's efforts to bring the south back into the union, but at 30% interest. Lincoln remarked that he would not free the black man by enslaving the white man to the bankers. Therefore, he issued a new government currency, the greenback, using his authority as President. This was a threat to the wealth and power of the central bankers, who quickly responded. "If this mischievous financial policy, which has its origin in North America, shall become endurated down to a fixture, then that Government will furnish its own money without cost. It will pay off debts and be without debt. It will have all the money necessary to carry on its commerce. It will become prosperous without precedent in the history of the world. The brains, and wealth of all countries will go to North America. That country must be destroyed or it will destroy every monarchy on the globe." -- The London Times reacting to Lincoln's decision to issue government Greenbacks to finance the Civil War, rather than agree to private banker's loans at 30% interest. In 1872 New York bankers sent a letter to every bank in the United States, urging them to fund newspapers that opposed government-issued money (Lincoln's greenbacks). Goaded by the private bankers, much of Europe supported the Confederacy against the Union, expecting that victory over Lincoln would mean the end of the Greenback. France and Britain considered an outright attack on the United States to aid the confederacy, but were held at bay by Russia, which had just ended the serfdom system and had a state central bank similar to the system the United States had been founded on. Left free of European intervention, the Union won the war, and Lincoln announced he would keep on issuing Greenbacks. Following Lincoln's assassination, the Greenbacks were pulled from circulation and the American people forced to go back to an economy based on bank notes borrowed at interest from the private bankers. Tsar Alexander II, who authorized Russian military assistance to Lincoln, was subsequently the victim of multiple attempts on his life in 1866, 1879, and 1880, until his assassination in 1881. Finally, in 1913, the Private Central Bankers of Europe, in particular the Rothschilds of Great Britain and the Warburgs of Germany, met with their American financial collaborators on Jekyll Island, Georgia to form a new banking cartel with the express purpose of forming the Third Bank of the United States, with the aim of placing complete control of the United States money supply once again under the control of private bankers. Owing to hostility over the previous banks, the name was changed to "The Federal Reserve" system in order to grant the new bank a quasi-governmental image, but in fact it is a privately owned bank, no more "Federal" than Federal Express. Indeed, in 2012, the Federal Reserve attempted to rebuff a Freedom of Information Lawsuit by Bloomberg News on the grounds that as a private banking corporation and not actually a part of the government, the Freedom of Information Act did not apply to the "trade secret" operations of the Federal Reserve. 1913 proved to be a transformative year for the nation's economy, first with the passage of the 16th "income tax" Amendment and the false claim that it had been ratified. "I think if you were to go back and try to find and review the ratification of the 16th amendment, which was the internal revenue, the income tax, I think if you went back and examined that carefully, you would find that a sufficient number of states never ratified that amendment." - U.S. District Court Judge James C. Fox, Sullivan Vs. United States, 2003. Our government pays back the Fed with income tax that is collected by the IRS. Later that same year, and apparently unwilling to risk another questionable amendment, Congress passed the Federal Reserve Act over Christmas holiday 1913, while members of Congress opposed to the measure were at home. This was a very underhanded deal, as the Constitution explicitly vests Congress with the authority to issue the public currency, does not authorize its delegation, and thus should have required a new Amendment to transfer that authority to a private bank. But Congress did pass it anyway, and President Woodrow Wilson signed it as he promised the bankers he would in exchange for generous campaign contributions. Wilson later regretted that decision. The next year, 1914, World War One started, and it is important to remember that prior to the creation of the Federal Reserve, there was no such thing as a world war. World War One started between Austria-Hungary and Serbia, but quickly shifted to focus on Germany, whose industrial capacity was seen as an economic threat to Great Britain, who saw the decline of the British Pound as a result of too much emphasis on financial activity to the neglect of agriculture, industrial development, and infrastructure (not unlike the present day United States). Russia, Britain and France got into World War One because of economics. Although pre-war Germany had a private central bank, it was heavily restricted and inflation kept to reasonable levels. Under government control, investment was guaranteed to internal economic development, and Germany was seen as a major power. By 1916, Germany had all but won this World War. The British had run out of ammunition and food because of German submarines. Zionist bankers had been supporting Germany up to this time against Czarist Russia since the Jews, who were Communists, didn't like Czarist Russia. The Jewish bankers told the British that they would switch sides and guarantee the assistance of the U.S. if Britain would give Palestine to the Jews after the war. The Balfour Declaration was given by the British as consideration to the Jews for getting the U.S. into the war on Britain's side. So, in the dominant Jewish media of the day, Germany was portrayed as the villain and prime opponent of World War One, and not just defeated, but its industrial base flattened. Following the Treaty of Versailles, Germany was ordered to pay the war costs of all the participating nations, even though Germany had not actually started the war. This amounted to three times the value of all of Germany itself. Germany's private central bank, to whom Germany had gone deeply into debt to pay the costs of the war, broke free of government control, and massive inflation followed (mostly triggered by currency speculators), permanently trapping the German people in endless debt. By 1917, the Jewish Communists had taken control of Moscow. Wealthy Jews also bought up German real eastate after the war for pennys on the dollar. By 1919-1920, Germans resented the reparations and saw the Jews as disloyal citizens who sold out Germany for the Balfour Declaration. Jews were held responsible for Germany losing World War One. It was at this time that Germans began to work against these Communist Jews. They lost their aristocratic status in Germany at this time. When the Weimar Republic collapsed economically, it opened the door for the National Socialists to take power. Their first financial move was to issue their own state currency which was not borrowed from private central bankers. Freed from having to pay interest on the money in circulation, Germany blossomed and quickly began to rebuild its industry. The media called it "The German Miracle". Germany's state-issued value based currency was also a direct threat to the wealth and power of the private central banks, and as early as 1933 they started to organize a global boycott against Germany to strangle this upstart ruler who thought he could break free of private central bankers! By 1933, Samuel Untermyer gave Germany an ultimatum and declared a "holy war" against Germany and organized a Jewish boycott of all their exports to other countries. Any store with products "Made in Germany" was boycotted by Jews. This threw many Germans out of work. Since less products were exported, less food was able to be imported by Germany. Nevertheless, Germany persisted and TIME magazine lionized Hitler for the amazing improvement in life for the German people and the explosion of German industry, and even named him TIME Magazine's Man Of The Year in 1938. Once again, Germany's industrial output became a threat to Great Britain. "Should Germany merchandise (do business) again in the next 50 years we have led this war (WW1) in vain" - Winston Churchill in The Times (1919). "We will force this war upon Hitler, if he wants it or not." - Winston Churchill (1936 broadcast). "Germany becomes too powerful. We have to crush it." - Winston Churchill (November 1936 speaking to US - General Robert E. Wood). "This war is an English war and its goal is the destruction of Germany" - Winston Churchill (- Autumn 1939 broadcast). As had been the case in World War One, Great Britain and other nations, threatened by Germany's economic power and success, looked for an excuse to go to war, and as public anger in Germany grew over the boycott, Hitler foolishly gave them that excuse. Years later, in a spirit of candor, the real reasons for that war were made clear. "The war wasn't only about abolishing fascism, but to conquer sales markets. We could have, if we had intended so, prevented this war from breaking out without doing one shot, but we didn't want to"- Winston Churchill to Truman (Fultun, USA March 1946). "Germany's unforgivable crime before WW2 was its attempt to loosen its economy out of the world trade system and to build up an independent exchange system from which the world-finance couldn't profit anymore. ...We butchered the wrong pig" -Winston Churchill (The Second World War - Bern, 1960). As a side note, we need to step back before WW2 and recall Marine Major General Smedley Butler. In 1933, Wall Street bankers and financiers had bankrolled the successful coups by both Hitler and Mussolini. Brown Brothers Harriman in New York was financing Hitler right up to the day war was declared with Germany. And they decided that a fascist dictatorship in the United States based on the one in Italy would be far better for their business interests than Roosevelt's "New Deal" which threatened massive wealth re-distribution to recapitalize the working and middle class of America. So the Wall Street tycoons recruited General Butler to lead the overthrow of the US Government and install a "Secretary of General Affairs" who would be answerable to Wall Street and not the people, would crush social unrest and shut down all labor unions. General Butler pretended to go along with the scheme but then exposed the plot to Congress. Congress, then as now in the pocket of the Wall Street bankers, refused to act. When Roosevelt learned of the planned coup he demanded the arrest of the plotters, but the plotters simply reminded Roosevelt that if any one of them were sent to prison, their friends on Wall Street would deliberatly collapse the still-fragile economy and blame Roosevelt for it. Roosevelt was thus unable to act until the start of WW2, at which time he prosecuted many of the plotters under the Trading With The Enemy act. The Congressional minutes into the coup were finally released in 1967 and became the inspiration for the movie, "Seven Days in May" but with the true financial villains erased from the script. As President, John F. Kennedy understood the predatory nature of private central banking. He understood why Andrew Jackson fought so hard to end the Second Bank of the United States. So Kennedy wrote and signed Executive Order 11110 on June 4th 1963, which ordered the US Treasury to issue a new public currency, the United States Note -- without going through the Federal Reserve. Kennedy said,"We are opposed around the world by a monolithic structure and ruthless conspiracy that relies primarily on covert means for expanding its sphere of influence: on infiltration instead of invasion, on subversion instead of elections, on intimidation instead of free choice. It is a system which has constructed vast human and material resources into the building of a tightly knit, highly efficient machine that combines military, diplomatic, intelligence, economic, scientific and political operations. Its operations are concealed ..."
Kennedy's United States Notes were not borrowed form the Federal Reserve but created by the US Government and backed by the silver reserves held by the US Government. It represented a return to the Constitutional system of economics the U.S. had been founded on, and was perfectly legal for Kennedy to enact. All told, some four and one half billion dollars went into public circulation, eroding interest payments to the Federal Reserve and loosening their control over the nation. Five months later John F. Kennedy was assassinated in Dallas Texas, and the United States Notes pulled from circulation and destroyed (except for samples held by collectors). John J. McCloy, President of the Chase Manhattan Bank, and President of the World Bank, was named to the Warren Commission, presumably to make certain the banking dimensions behind the assassination were concealed from the public. Towards the end of World War Two, when it became obvious that the allies were going to win and dictate the post war environment, the major world economic powers met at Bretton Woods, a luxury resort in New Hampshire in July of 1944, and hammered out the Bretton Woods agreement for international finance. The British Pound lost its position as the global trade and reserve currency to the US dollar (part of the price demanded by Roosevelt in exchange for the US entry into the war). Absent the economic advantages of being the world's "go-to" currency, Britain was forced to nationalize the Bank of England in 1946. The Bretton Woods agreement, ratified in 1945, in addition to making the dollar the global reserve and trade currency, obligated the signatory nations to tie their currencies to the dollar. The nations that ratified Bretton Woods did so on two conditions. The first was that the Federal Reserve would refrain from over-printing the dollar as a means to loot real products and produce from other nations in exchange for ink and paper; basically an imperial tax. That assurance was backed up by the second requirement that the US dollar would always be convertible to gold at $35 per ounce. Dollar Backed By "Wilderness Zones"
Of course, the Federal Reserve, being a private bank and not answerable to the US Government, did start overprinting paper dollars, and much of the perceived prosperity of the 1950s and 1960s was the result of foreign nations' obligations to accept the paper notes as being worth gold at the rate of $35 an ounce. Then in 1970, France looked at the huge pile of paper notes sitting in their vaults, for which real French products like wine and cheese had been traded, and notified the United States government that they would exercise their option under Bretton Woods to return the paper notes for gold at the $35 per ounce exchange rate. Of course, the United States had nowhere near the gold to redeem the paper notes, so on August 15th, 1971, Richard Nixon "temporarily" suspended the gold convertibility of the US Federal Reserve Notes. This "Nixon shock" effectively ended Bretton Woods and many global currencies started to detach from the US dollar. Worse, since the United States had collateralized their loans with the nation's gold reserves, it quickly became apparent that the US Government did not in fact have enough gold to cover the outstanding debts. Foreign nations began to get very nervous about their loans to the US and understandably were reluctant to loan any additional money to the United States without some form of collateral. So Richard Nixon started the environmental movement, with the EPA and its various programs such as "wilderness zones", Roadless areas", Heritage rivers", "Wetlands", all of which took vast areas of public lands and made them off limits to the American people who were technically the owners of those lands. But Nixon had little concern for the environment and the real purpose of this land grab under the guise of the environment was to pledge those pristine lands and their vast mineral resources as collateral on the national debt. The plethora of different programs was simply to conceal the true scale of how much American land was being pledged to foreign lenders as collateral on the government's debts; eventually almost 25% of the nation itself. With open lands for collateral already in short supply, the US Government embarked on a new program to shore up sagging international demand for the dollar. The United States approached the world's oil producing nations, mostly in the Middle East, and offered them a deal. In exchange for only selling their oil for dollars, the United States would guarantee the military safety of those oil-rich nations. The oil rich nations would agree to spend and invest their US paper dollars inside the United States, in particular in US Treasury Bonds, redeemable through future generations of US taxpayers. The concept was labeled the "Petrodollar." In effect, the US, no longer able to back the dollar with gold, was now backing it with military might that protected the oil. Other peoples' oil. And that necessity to keep control over those oil nations to prop up the dollar has shaped America's foreign policy in the region ever since. This agreement was formalised in the “The U.S.-Saudi Arabian Joint Commission on Economic Cooperation” put together by Nixon’s Secretary of State Henry Kissinger in 1974. The system was expanded to include the rest of OPEC by 1975. But as America's manufacturing and agriculture has declined, the oil producing nations faced a dilemma. Those piles of US Federal Reserve notes were not able to purchase much from the United States because the United States had little (other than real estate) anyone wanted to buy. Europe's cars and aircraft were superior and less costly, while experiments with GMO food crops led to nations refusing to buy US food exports. Israel's constant belligerence against its neighbors caused them to wonder if the US could actually keep their end of the petrodollar arrangement. Oil producing nations started to talk of selling their oil for whatever currency the purchasers chose to use. Iraq, already hostile to the United States following Desert Storm, demanded the right to sell their oil for Euros in 2000 and in 2002, the United Nations agreed to allow it under the "Oil for food" program instituted following Desert Storm. One year later the United States re-invaded Iraq, lynched Saddam Hussein, and placed Iraq's oil back on the world market only for US dollars. Over in Libya, Muammar Gaddafi had instituted a state-owned central bank and a value based trade currency, the Gold Dinar. Gaddafi announced that Libya's oil was for sale, but only for the Gold Dinar. Other African nations, seeing the rise of the Gold Dinar and the Euro, even as the US dollar continued its inflation-driven decline, flocked to the new Libyan currency for trade. This move had the potential to seriously undermine the global hegemony of the dollar. French President Nicolas Sarkozy reportedly went so far as to call Libya a “threat” to the financial security of the world. So, the United States invaded Libya, brutally murdered Qaddafi (the object lesson of Saddam's lynching not being enough of a message, apparently), imposed a private central bank, and returned Libya's oil output to dollars only. The gold that was to have been made into the Gold Dinars is, as of last report, unaccounted for. Assad of Syria will soon be dead for the same reasons. So will N. Korea's leadership and Iran's leadership, who is selling oil for gold to Russia, China and India. According to General Wesley Clark, the master plan for the "dollarification" of the world's oil nations included seven targets: Iraq, Syria, Lebanon, Libya, Somalia, Sudan, and Iran (Venezuela, which dared to sell their oil to China for the Yuan, is a late addition). What is notable about the seven nations originally targeted by the US is that none of them are members of the Bank for International Settlements, the private central bankers private central bank, located in Switzerland. This meant that these nations were deciding for themselves how to run their nations' economies, rather than submit to the international private banks. Now the bankers' gun sights are on Iran, who dares to have a government central bank and sell their oil for whatever currency they choose. The war agenda is, as always, to force Iran's oil to be sold only for dollars and to force them to accept a privately owned central bank. Malaysia, one of the new nations without a Rothschild central bank, is now being invaded by a force claimed to be "Al Qaeda", and with the death of President Hugo Chavez, plans to impose a US and banker friendly regime on Venezuela are clearly being implemented. The German government recently asked for the return of some of their gold bullion from the Bank of France and the New York Federal Reserve. France has said it will take 5 years to return Germany's gold. The United States has said they will need 8 years to return Germany's gold. This suggests strongly that the Bank of France and the NY Federal Reserve have used the deposited gold for other purposes, most likely to cover gold futures contracts used to artificially suppress the price of gold to keep investors in the equities markets, and the Central Banks are scrambling to find new gold to cover the shortfall and prevent a gold run. So it is inevitable that suddenly France invaded Mali, ostensibly to combat Al Qaeda, with the US joining in. Mali just happens to be one of the world's largest gold producers with gold accounting for 80% of Mali exports. War for the bankers does not get more obvious than that! The real agenda is simple. It is enslavement of the people by creation of a false sense of obligation. That obligation is false because the Private Central Banking system, by design, always creates more debt than money with which to pay that debt. Private Central Banking is not science, it is a religion; a set of arbitrary rules created to benefit the priesthood, meaning the owners of the Private Central Bank. The fraud persists, with often lethal results, because the people are tricked into believing that this is the way life is suppoed to be and no alternative exists or should be dreamt of. The same was true of two earlier systems of enslavement, Rule by Divine Right and Slavery, both systems built to trick people into obedience, and both now recognized by modern civilization as illegitimate. Now we are entering a time in human history where we will recognize that rule by debt, or rule by Private Central Bankers issuing the public currency as a loan at interest, is equally illegitimate. It only works as long as people allow themselves to believe that this is the way life is supposed to be. Private Central Banks do not exist to serve the people, the community, or the nation. Private Central Banks exist to serve their owners, to make them rich and all for the cost of ink, paper, and the right bribe to the right official. Behind all these wars, all these assassinations, the hundred million horrible deaths from all the wars lies a single policy of dictatorship. The private central bankers allow rulers to rule only on the condition that the people of a nation be enslaved to the private central banks. Failing that, said ruler will be killed, and their nation invaded by those other nations enslaved to private central banks. Notice that the U.S. is ready to go to war with Syria and N. Korea. These are two of four remaining nations not controlled by central banking. The other two are Iran and Cuba. They are next on the list. Then the banks can collapse the system and create a one-world digitized, non-cash system -- the mark of the beast. The so-called "clash of civilizations" we read about on the corporate media is really a war between banking systems, with the private central bankers forcing themselves onto the rest of the world, no matter how many millions must die for it. Indeed the constant hate-mongering against Muslims lies in a simple fact. Like the ancient Christians (prior to the Knights Templars private banking system) , Muslims forbid usury, or the lending of money at interest. And that is the reason our government and media insist they must be killed or converted. They refuse to submit to currencies issued at interest. They refuse to be debt slaves. When the dollar collapses, paper currency itself (not those who created it) will be blamed. Governments will create a new form of currency that is fully controlled by those governments. The new IMF-centered form of currency will be electronic and will promise to end all monetary woes, as the governments will be able to track all monetary transactions of every kind. Existing bank accounts would be converted to New Currency accounts and anyone who does not already have a bank account will be advised to create an account with a bank, as he will need it to perform transactions. All incoming funds (wages, sale of goods, etc.) will go directly into the account, and all outgoing funds (purchases, payments for services, etc.) will be directly debited from the account. Importantly, the failed paper currency will be done away with, and all monetary transactions will be made through the bank account. Further, barter will be discouraged. But why an electronic monetary system? Because it answers all the desires of the banking institutions and governments. First, it assures that every individual must have a primary bank account, or he cannot function monetarily. This puts the bank in the driver’s seat. It can then step up the rules and increase its charges to customers. For the government, it will mean that, since every monetary transaction made by an individual is recorded in his account, there will no longer be a need for him to file for tax payments. The government can unilaterally assess the tax due and debit it directly from the account. (If the individual disagrees with the amount of the debit, he may contest it and hope to regain a portion of his payment if he wins his case.) Over time, tax rates and reasons for tax debits will become increasingly complex and confusing, as will increasingly complicated bank charges. If it’s sold to the public properly, they’ll welcome it with open arms. After all, its purpose will be “to assure that never again will the people have to endure a currency collapse.” As Josef Goebbels advised, it’s easy to convince a population that a desired measure is necessary. First, convince them that there is a demon out there, then provide a “solution” to defeat that demon. People will be badly shaken up by the collapse of the currency and will look to the new system to provide them with greater safety, when what they will really be getting is enslavement to banks and governments. Still, there will be some pushback against the new system, but it may easily be trounced by the regular claims that the system will also limit financial transactions by terrorists. (Anyone who disagrees with the system might therefore be deserving of investigation for terrorism involvement.) In 1947, when George Orwell wrote 1984, he correctly anticipated the use of technology in creating a world in which Big Brother knew all. Certainly, any government that succeeds in controlling the monetary transactions of the individual can then control the individual. What Happens When A Currency Collapses? When a currency collapses, human society follows a very predictable pattern. The currency collapse comes without any warning. A stock market crash occurs soon after. Because of the repeal of the Glass-Seagall, a banking meltdown will immediately follow the collapse of the stock market. Your life savings will be wiped out. Hurricanes Katrina and Sandy proved that gas stations will be completely dry within two days of a collapse. Subsequently, commerce will not move. On the second day following a currency collapse, being on the road will be a risky move because of other desperate motorists who will lie in wait to rob other motorists of essential supplies and resources. With no available fuel, the grocery and drug stores will be empty within one to three days. There will be no food to be had except for what is in your refrigerator or freezer. Everyone will start to beg, borrow and steal from their neighbor. If you have an adequate food and water supply, you will need to protect it with a gun and ammunition 24/7. But when will you sleep? You will need to have a partner. People will stop going to work when they have no gasoline. Corporations will disappear overnight. Hurricane Katrina showed America that the police cannot be expected to stay on the job more than 48-72 hours as they will be home protecting their families and foraging for food and water like everyone else. The police will emerge as gangs of their own for survival. Therefore, when your home is under attack, there will be nobody to call. The elderly and the chronically ill will be first to die. Too old to defend their assets, the elderly will find themselves overpowered as they will make easy preys of opportunity for roving gangs. The chronically ill will have no way to procure their medication and even if they survive the looting rampage which will follow a currency collapse, these poor souls will perish without access to their life-sustaining prescriptions.The money in your wallet will be useless. Cell phones will not work. Heating and air conditioning will not work either and depending on the time of year, the environment could prove deadly to untold numbers of people. Water treatment plants will stop operating for the same reasons that you will not be able to find a policeman during this crisis: nobody will be manning the water treatment plants. Toilets will back up and diseases will spread like wildfire. Cholera will become the leading cause of death even surpassing homicide. Something as simple as toilet paper will become a prized commodity. There will be no trash pickup and more disease will result due to the increased rodent population. Clean drinking water and hunger will become the dominant motivator in society. Roving bands of looters and murderers, will sweep through neighborhoods seeking these critical elements of survival. Young women will sell themselves for a can of food for their children. Society will see the widespread loss of human dignity and self-respect. Infanticide and euthanasia of the weak will become common events because there will be efforts to reduce the amount of mouths to feed. The shocking realization will hit people that the lights are not coming back on and the ensuing sense of hopelessness will lead to murder-suicides within families and simple incidences of suicide will be used as a means to escape the horrendous circumstances.There will come a time when all the available animals will be devoured and then there will be only one place to turn to for food. History shows that cannibalism will commence by the beginning of the third week. Extreme hunger will lead to humans hunting humans as food. There is a real possibility that this could begin to occur within 15-20 days following the currency collapse. If the establishment military has properly planned, they will move in to take control but they will not move quickly. The more death there is, the fewer people there will be to control. Government will typically move in with their solutions towards the end of the second week as has been the case in past economic collapses. The earliest the military could be deployed on the streets would be about four days from the event. Even then, the military cannot be everywhere. When the Roman currency was debased in the third century, Christians became the scapegoats for the economic issues. According to “Executive Order 13603”, you will retain ownership over nothing including food, water, guns, ammunition, your house, your car and even yourself. If you survive, you will be conscripted to work in some capacity in an occupation and location not of your choosing. The provisions for dealing with potential dissidents will go into motion under the NDAA which allows for mass arrest and secret incarcerations without due process. There is one ironclad thing that you can count on, food and water will be used to control the people following the collapse of the dollar. When past currency collapses occur, organizations such as the World Bank, the IMF, the UN and the US have appeared to render their predatory version of help in exchange for control of critical infrastructure and other capital considerations. Because of this aid, more people survived in the impacted areas. However, what happens when the top dog collapses? Who would be able to come and render aid in America? Even if a world disgusted by our imperialistic ways would offer help, could they? Not under the coming circumstances. They will be in a worse situation. In short, there will be nobody riding in to rescue the United States. Despite some rebelling against the dollar, the world is still dependent upon our currency. When the currency collapses it will pull the rest of world down with us. The subsequent collapse of global currencies will indeed constitute a major depopulation event and all the elite have to do is wait it out in places like the tunnels under Denver International Airport. During this time, Americans will be rounded up and put into FEMA camps. If people want to eat, they will be enticed to go where food is promised. Although you can count on the above mentioned events transpiring in the event of a currency collapse, there are some unknowns. But we can expect the government to impose travel restrictions and martial law. Life, as we know it will not be recognizable. Obama is willing to talk about the $17 trillion dollar deficit. However, why do we never hear the government nor the media discuss the real debt? Our real financial obligations total $240 trillion dollars through programs like social security, Medicare, public pensions and welfare. It is not a matter of if we are going to have a currency collapse, it is when. It will be soon. A currency collapse is nothing to look forward to, and people who intend on surviving the event should be preparing as quickly as they can. What can you do about it? 1. Take your money out of interest-bearing bank accounts. 2. Buy gold and silver coins (that can't be inflated away) or other necessary commodities that people use. 3. Get out of debt. (Current as of December 2014 U.S. household consumer debt profile: Average credit card debt: $15,611. Average mortgage debt: $155,192. Average student loan debt: $32,264) 4. Destroy your credit cards. 5. Get out of the city and live in a small rural town where self-sufficiency is practised before hyperinflation occurs. 6. Buy a water filter and non-electric water distiller. 7. Store enough rice and beans for several years' supply. 8. Buy a freeze dryer and use it. 9. Buy non-hybrid garden seeds 10. Buy a wood-powered cook stove. 11. Buy a fishing pole. 12. Buy a rifle and ammunition. FACTS: 1. The U.S. imports about 66% of its oil. 2. About 70% of that oil is used for transportation (18 wheelers, etc.). 3. The U.S. dollar is not backed by anything physical. It is backed by debt originating from the issuance of bonds. (Nixon took us off the gold standard) 4. The U.S. debt, currently over 21 trillion, cannot be paid back, and the rest of the world knows this. (The U.S. takes in 2 Trillion dollars per year in revenue.) This number does not include "Unfunded Mandated Liabilities" (Medicare, Medicaid, Social Security) which add another 240 trillion; or the tax-payer-funded "Credit Swap Derivatives Debt" bailout of 1.5 quadrillion. 5. Oil is currently only sold on the global market in U.S. dollars. The only reason that oil is traded internationally in U.S. dollars is due to agreements between U.S. and OPEC, creating "Petrodollar" status. 6. The necessity to have dollars in order to purchase oil in the global market creates the demand for the dollar. 7. The value of the dollar is directly tied to the demand for the dollar. Supply and demand. 8. China and Russia just recently agreed to stop using dollars in all their bilateral trade. This includes oil. (When Saddam did the same, we invaded Iraq.) Iran now sells oil for gold to BRICS nations. CONCLUSIONS: 1. The U.S. will lose its petrodollar status. 2. When it does, the demand for the dollar will fall sharply. The value of the dollar will evaporate and hyperinflation will occur. 3. Other countries will refuse to accept the U.S. dollar for products that they export. No reason to trade good products for worthless paper. This will happen very quickly. 4. Oil will stop coming in (66% of what we need). Food transport and agriculture are completely dependent on oil and will take priority over civilian use. 5. Therefore, gasoline will be unavailable to drive your car. 6. Food will cost astronomical amounts because of the transportation costs involved. This will lead to food riots and looting as hungry people become desperate and dangerous. 7. As cost of doing business skyrockets, unemployment will skyrocket. 8. Marshall law will be imposed to control rioting and looting. 9. Therefore, each individual should prepare ahead by moving out of the big city now to a small, rural town where self-sufficiency is practiced before hyperinflation occurs. As a nation, we should do as Iceland did: 1. Return to a gold-backed currency 2. Repudiate the debt. 3. Throw the bankers in prison and 4. Re-institute the Glass-Seigal Act.